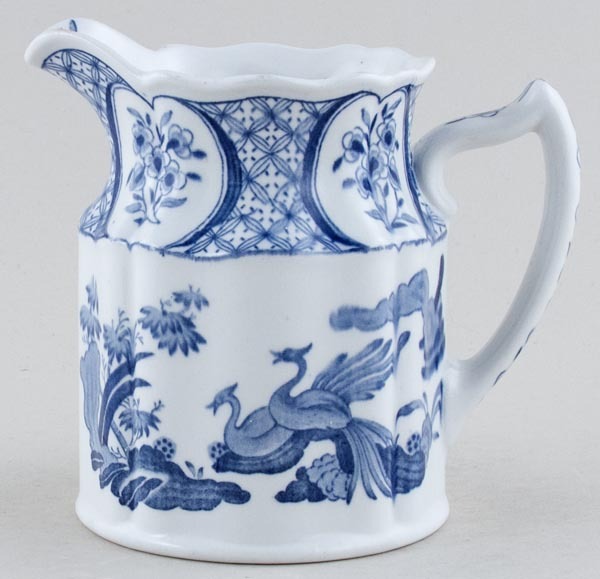 A lovely jug printed in a soft blue. Backstamp: Old Chelsea Furnivals Limited Trade Mark England Rd No 647812. Light crazing with a little wear to the rim.